It's been one of those weeks when, upon reflection, you realised it was a pretty darn good one. ❥ Springtime patches of daisies. ❥ My son enjoying picking springtime daisy patches. ❥ A daily occurrence of finding and picking daisies on our walk home from daycare. ❥ Going out with my Plunket coffee group girlfriends. We try to catch up regularly, either for kids dinners or drinks. 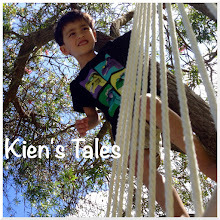 ❥ The joy Kien gets from the little playground outside his daycare. We stop there practically every day when it isn't raining. ❥ Kien's new haircut is the bomb. Jef did an awesome job. I hope you had an awesome week too! So good to hear about girlfriends catching up. It is so hard to schedule group get-togethers but they are always worth it! Enjoy the long weekend!